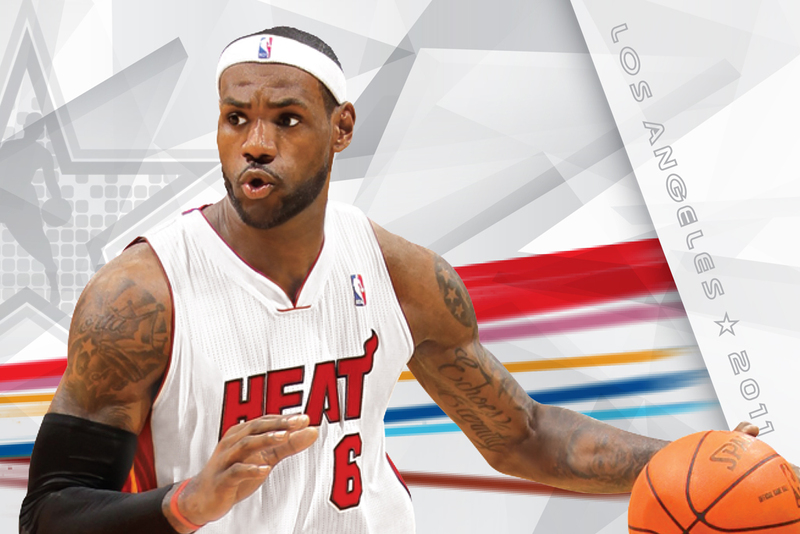 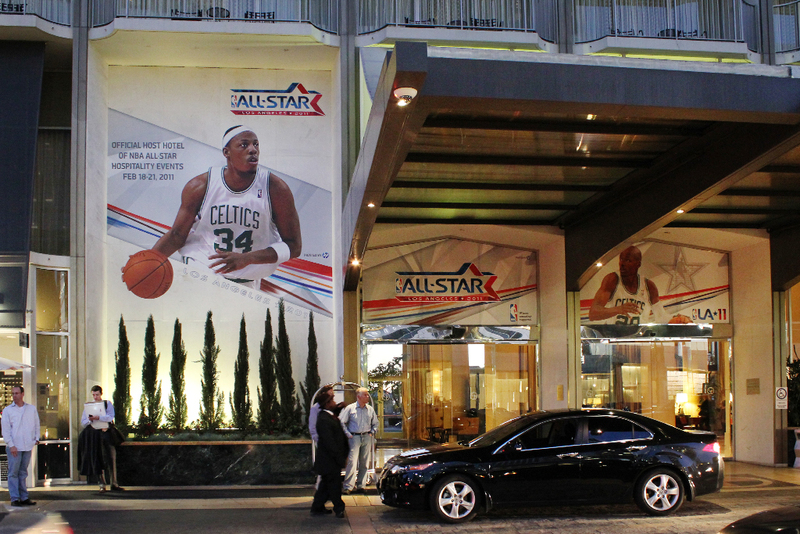 The 2011 NBA All-Star game took place in Los Angeles, home of both the Lakers and the Clippers. 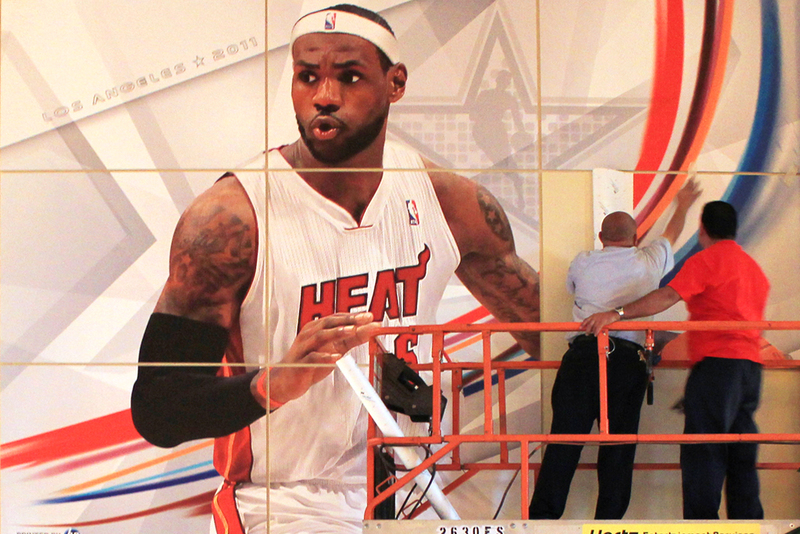 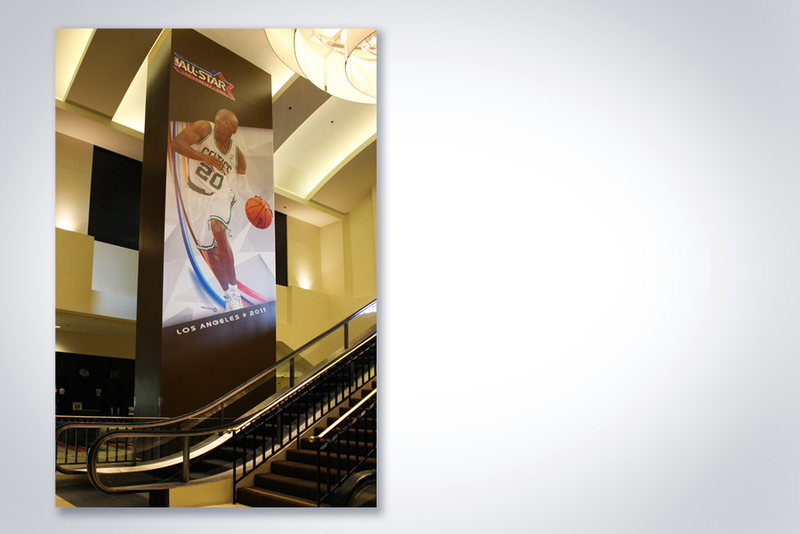 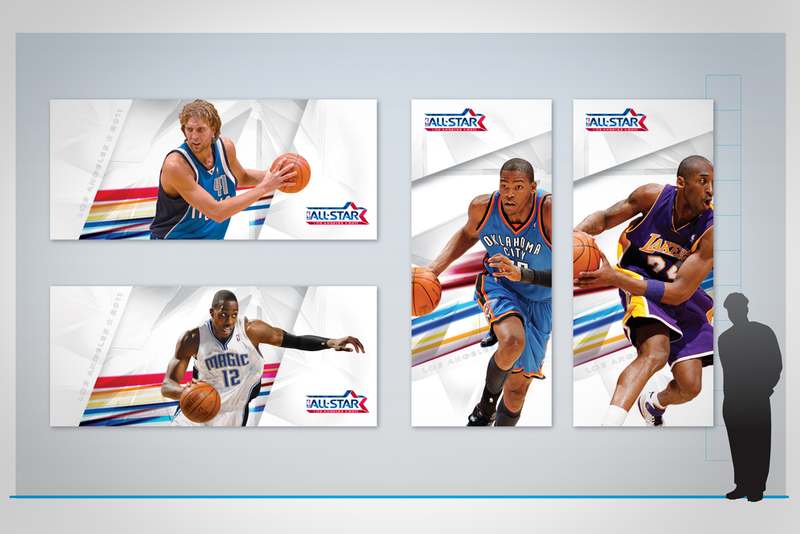 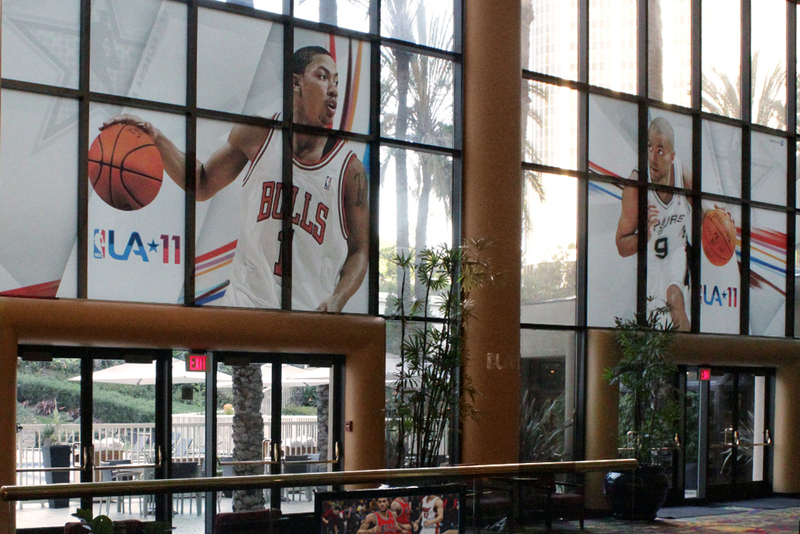 Concepts were developed and presented to the NBA utilizing event identity guidelines. 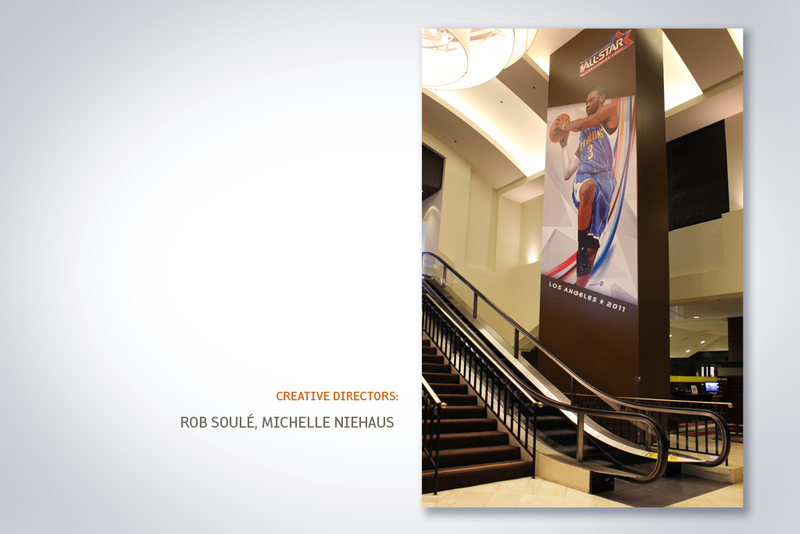 Working with the team at electrobot, refinements were made and the designs deployed through out the various environments – hotels, events spaces, and the Staples Center itself.